Suddenly we have reached that time of year when chance onlookers may express not mere surprise, but disbelief, as if this is done by some inexplicable sleight of hand, a sort of smoke-and-mirrors trick. We know better: it is done with careful practice; one does not simply get this mental overnight. 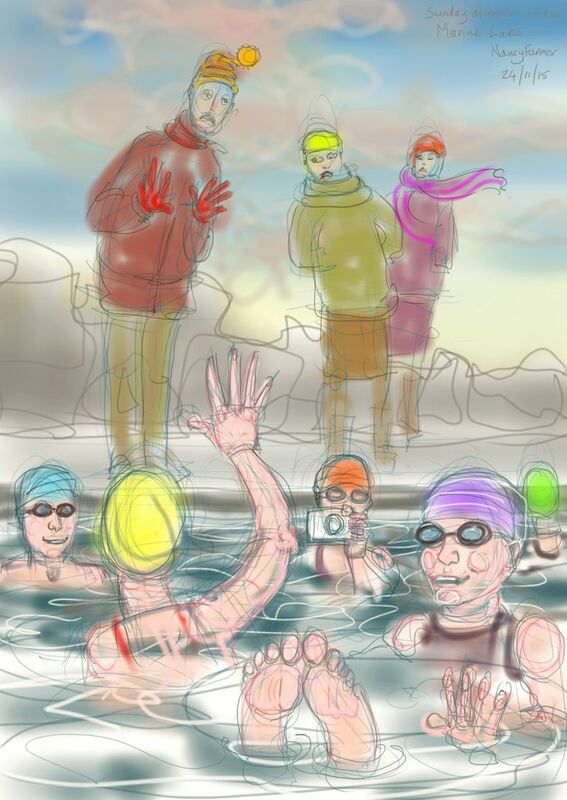 This entry was posted in swimming and tagged art, Clevedon, Clevedon Marine Lake, cold water swimming, digital sketch, drawing, North Somerset, open water swimming on November 24, 2015 by Nancy Farmer.